In Citrix StoreFront, finding the PowerShell command that corresponds with an item in the console can be a daunting task. The purpose of this article is translating the Citrix StoreFront console to PowerShell on an per-item basis. 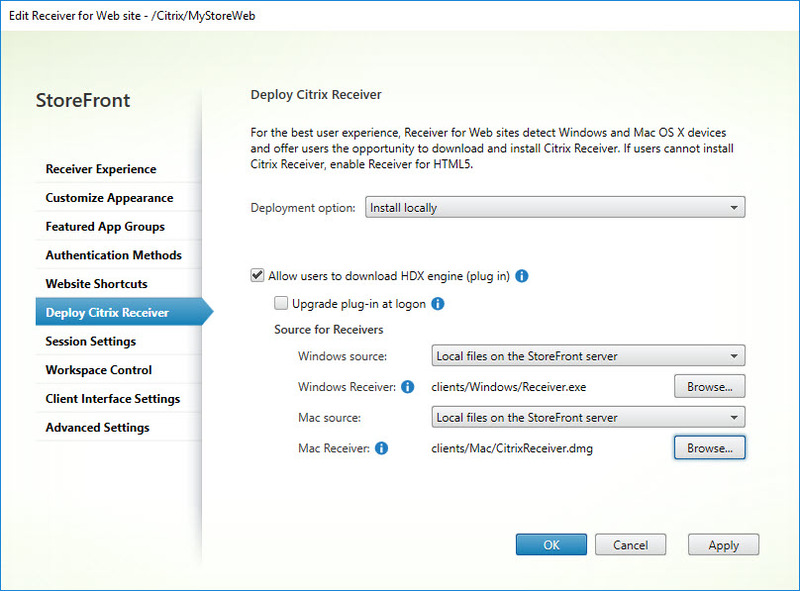 The contents of this article, including the screenshots, is based on Citrix StoreFront 3.14 (released in Q1 2018). This article contains various clickable images (image maps with hot spots). These may not always work well on mobile phones. It is recommended to use a desktop or laptop when viewing this article, or at the very least a screen larger than that of a mobile phone. Scroll down to the introduction or click on one of the hotspots below to jump to the corresponding section in this article. 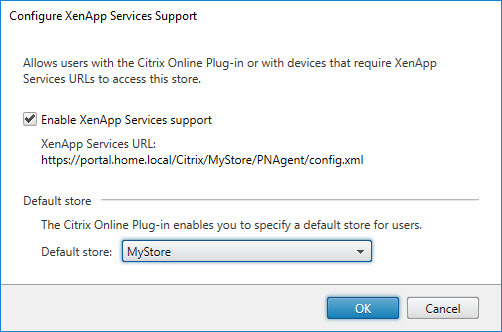 In the article Citrix StoreFront unattended installation with PowerShell I explain how to automate the installation and initial configuration of your first deployment, stores, farms and Receiver for Web and PNAgent services. However, besides the initial configuration, there are plenty of other settings that can and may need to be configured in your environment. StoreFront 3.14 is shipped with a total of 206 cmdlets and the console contains a large number of settings. So the question is, how do you know which cmdlet to use with which setting in the StoreFront console? And that is where this article comes in. In the paragraphs below, using clickable images, you find a translation of the various console items with the corresponding PowerShell cmdlet. This will help you to quickly build your configuration script. The structure of this article follows the settings listed in the right pane of the StoreFront console. I want to thank Mark Dear, Customer Quality Engineer at Citrix, for his help, his patience and his quick response whenever I had questions. Once you have identified your PowerShell code snippets in the sections below, you can add them to one consolidated script. Below I offer you an example of such a consolidated script including logging and error handling. This will allow you to configure your StoreFront server to your requirements. I invite you to use this script and to modify it to your needs. Writing this article, I frequently referred to the StoreFront SDK. I did all my tests on a Windows Server 2016 version 1607 virtual machine with StoreFront 3.14 installed. I did not need to load any PowerShell modules to be able to execute the cmdlets. In the example script below, I do load all available StoreFront modules just to make sure all PowerShell commands work. # This script has been prepared for Windows Server 2008 R2, 2012 R2 and 2016. # This script has been tested on Windows Server 2016 version 1607. # work on older versions as well (at least from StoreFront 3.8/3.9 and newer). # This script configures the local Citrix StoreFront server. The following paragraphs deal with the settings in the Stores section in the StoreFront console's Actions pane. 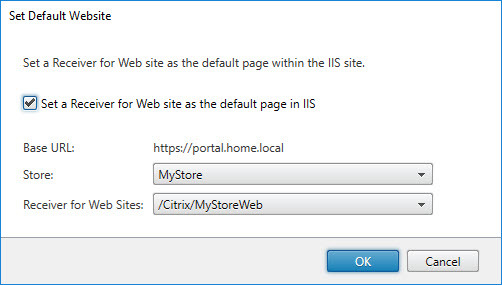 In the article Citrix StoreFront unattended installation with PowerShell, in the section Create the StoreFront deployments, stores and farms, I explain in detail how to create a StoreFront store using PowerShell. This paragraph deals with the NetScaler Gateway configuration settings. Please do not let the text confuse you; what you are adding (configuring) here are the virtual servers configured on your NetScaler appliance, not the actual appliance itself (SNIP). 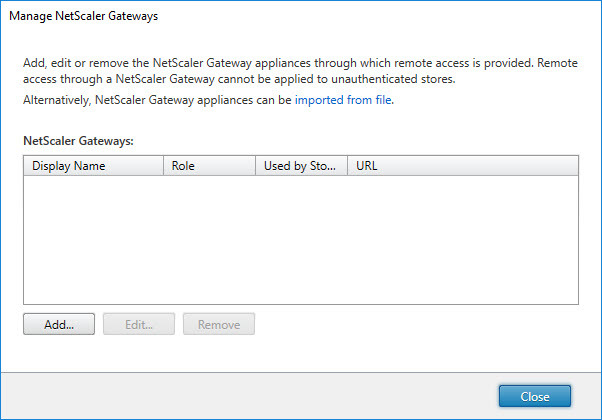 For more information, please see the section StoreFront Configuration for NetScaler Gateway in Carl Stalhood's article StoreFront 3.5 through 3.14 – Configuration for NetScaler Gateway. Add-STFRoamingGateway -Name "MyVirtualServer" -LogonType Domain -Version Version10_0_69_4 -GatewayUrl "https://virtualserver.mydomain.com" -CallbackUrl "https://virtualserver.mydomain.com/callback" -StasUseLoadBalancing -SessionReliability -RequestTicketTwoSTAs -SubnetIPAddress "10.10.10.10" -SecureTicketAuthorityUrls "https://DeliveryController1.mydomain.com","https://DeliveryController2.mydomain.com"
$RoamingService = Get-STFRoamingService -SiteID 1 Add-STFRoamingGateway -RoamingService $RoamingService -Name "MyVirtualServer" -LogonType Domain -Version Version10_0_69_4 -GatewayUrl "https://virtualserver.mydomain.com" -CallbackUrl "https://virtualserver.mydomain.com/callback" -StasUseLoadBalancing -SessionReliability -RequestTicketTwoSTAs -SubnetIPAddress "10.10.10.10" -SecureTicketAuthorityUrls "https://DeliveryController1.mydomain.com","https://DeliveryController2.mydomain.com"
Add-STFRoamingGateway -RoamingService $RoamingService -Name "MyVirtualServer" -LogonType Domain -Version Version10_0_69_4 -GatewayUrl "https://virtualserver.mydomain.com" -CallbackUrl "https://virtualserver.mydomain.com/callback" -StasUseLoadBalancing -SessionReliability -RequestTicketTwoSTAs -SubnetIPAddress "10.10.10.10" -SecureTicketAuthorityUrls "https://DeliveryController1.mydomain.com","https://DeliveryController2.mydomain.com"
-Name (data type: string): this is the unique name for the NetScaler configuration. -LogonType: this is the authentication method you configured on the virtual server. Possible values are: UsedForHDXOnly | Domain | RSA | DomainAndRSA | SMS | GatewayKnows | SmartCard | None. -SmartCardFallbackLogonType. Possible values are: UsedForHDXOnly | Domain | RSA | DomainAndRSA | SMS | GatewayKnows | SmartCard | None. -Version: the version of your NetScaler Gateway. Possible values are: Version10_0_69_4 | Version9x. Use the value Version10_0_69_4 for NetScaler appliances from version 10_0_69_4 and higher and the value Version9x for NetScaler appliances version 9 (all builds). -GatewayUrl (data type: uri): the URL to the virtual server, for example https://virtualserver.mydomain.com. In case of SSL, enter the fully qualified domain name (FQDN). 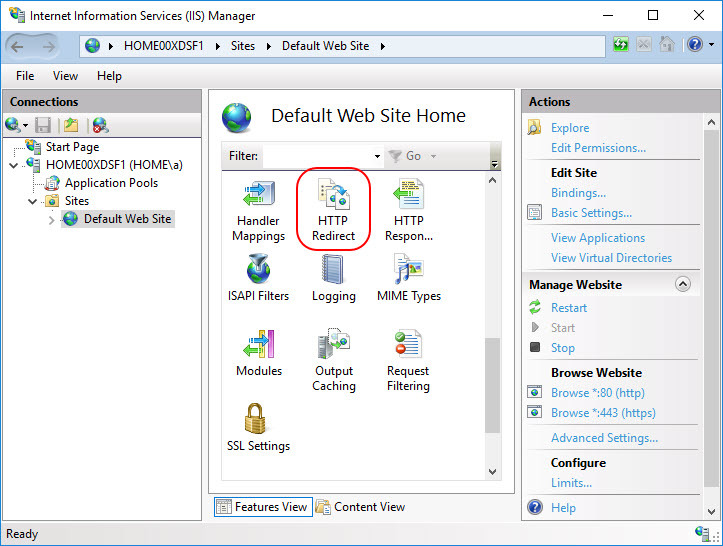 -CallbackUrl (data type: uri): this is the internally accessible URL of the NetScaler Gateway, for example https://virtualserver.mydomain.com/callback. In case of SSL, enter the fully qualified domain name (FQDN). -StasUseLoadBalancing (data type: switch parameter): add this parameter without any value to enable session reliability. If you prefer, you can also enter the parameter like this: -StasUseLoadBalancing:$True). -SessionReliability (data type: switch parameter): add this parameter without any value to enable session reliability. If you prefer, you can also enter the parameter like this: -SessionReliability:$True). -RequestTicketTwoSTAs (data type: switch parameter): add this parameter without any value to request STA tickets from two STA servers. If you prefer, you can also enter the parameter like this: -RequestTicketTwoSTAs:$True). -SubnetIPAddress (data type: string): this is the IP address of the virtual server (e.g. 10.10.10.10). -SecureTicketAuthorityUrls (data type: uri array): enter the URL of one or more STA servers (= delivery controller). For example: "https://controller1.mydomain.com","https://controller2.mydomain.com". In case of SSL, enter the fully qualified domain name (FQDN). 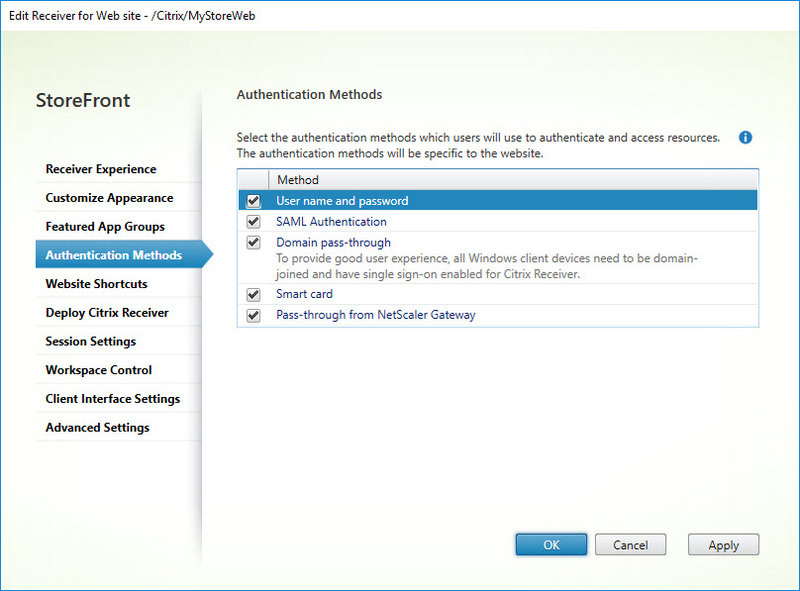 Please keep in mind that whatever Secure Ticket Authorities you add here must also be added to the NetScaler Gateway Virtual Server on the NetScaler appliance. -StasBypassDuration (data type: timespan): enter the time period for bypassing a failed STA server, for example 01:30:00 (1 hour, 30 minutes and 0 seconds). -GslbUrl (data type: uri): enter an optional URL which corresponds to the GSLB domain used by multiple gateways, for example https://myglbs.mydomain.com. This parameter is not available in the StoreFront console as far as I can tell. In case of SSL, enter the fully qualified domain name (FQDN). This paragraph deals with the beacons configuration settings. You can set either internal beacons or external beacons (or both). 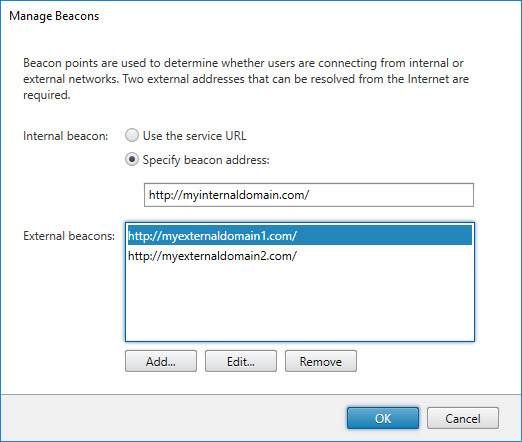 Set-STFRoamingBeacon -internal "http://myinternaldomain.com" -external "http://myexternaldomain1.com","http:/ /myexternaldomain2.com"
There seems to be a bug though; it is only possible to configure the external beacons when also configuring the internal one. This bug has been reported to Citrix and will hopefully be fixed in one of the following StoreFront releases. 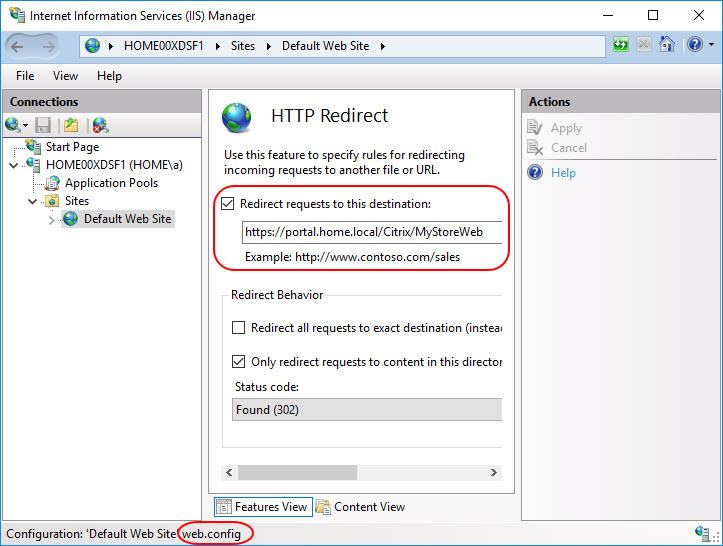 Setting the default website means configuring a redirection to a default store when a user enters the host base URL in the browser (without entering a virtual subdirectory). The user is automatically redirected to https://portal.mydomain.com/Citrix/MyStoreWeb/. There can only be one default web site per StoreFront deployment (= per IIS site). This is also clearly visible in the IIS management console. When a default website is set, a file called web.config is created in the IIS root directory of that specific StoreFront deployment. By default, this is the directory C:\inetpub\wwwroot. $Rfw = Get-STFWebReceiverService -SiteId 1 -VirtualPath "/Citrix/MyStoreWeb"
In case you need a more complex redirection file, you can easily create the web.config file yourself using the code below. Please be aware that the example below does not include any logging and almost no error handling. Please modify the variables $HostBaseURL, $ReceiverForWebSite and $IISSiteDirectory in lines 2 to 4 to your requirements. $xmlFile = Join-Path $IISSiteDirectory "web.config"
# Note: creating the XML file is all done in memory. Only in the last line the XML file is actually generated. 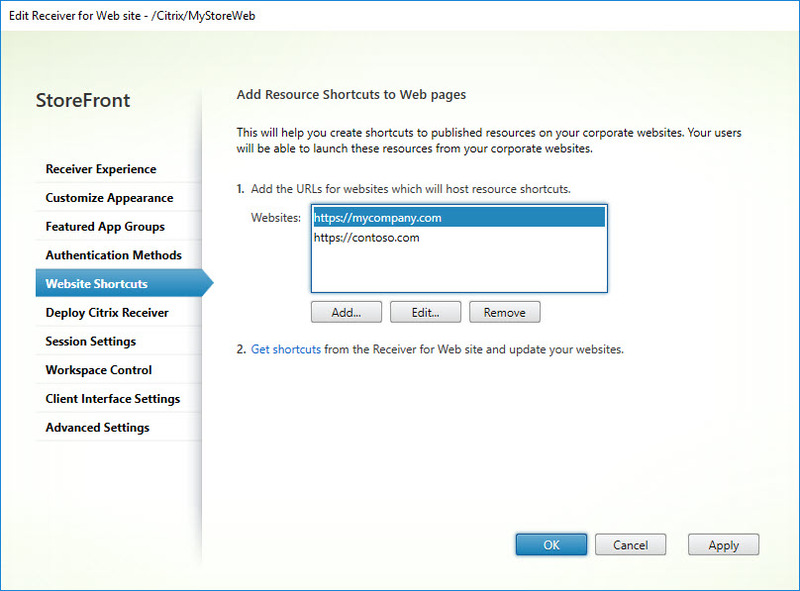 Of course, if you want to, you can also prepare the web.config file in advance and copy/paste it to the corresponding IIS directory. The following paragraphs deal with the settings of a particular store. 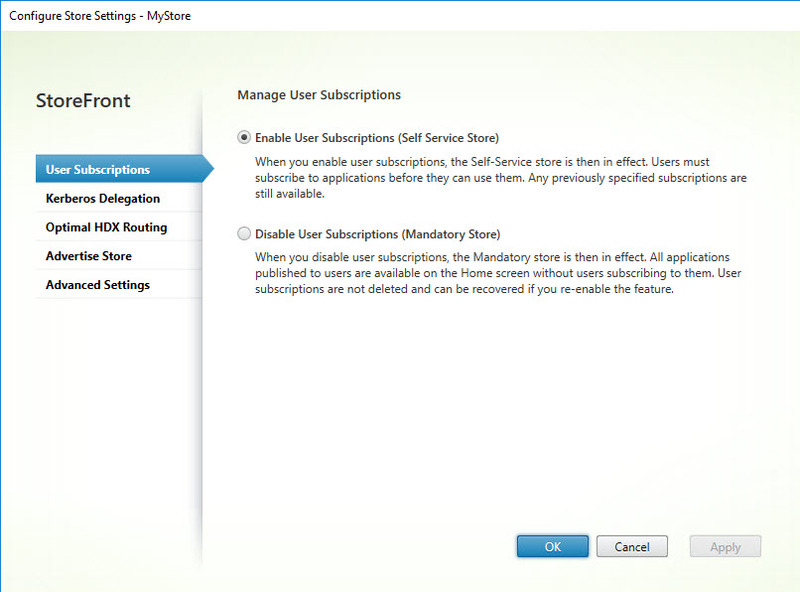 In this article, as visible in the screenshot below, I only have one store configured called MyStore. In case you have more than one store, you may have to repeat some of the procedures described below for each of your stores. This paragraph deals with the configuration of advanced settings of a site. Note: I find it a bit peculiar that the parameter -Server is required when calling the cmdlet Set-STFStoreFarm. Without it, the command ends in an error. It is peculiar to me, because the variable $farm includes all farm related information including the farm servers. Why the cmdlet Set-STFStoreFarm is not able to retrieve this information itself I do not understand. Anyway, the workaround is to retrieve the farm servers ourselves using the command $FarmServers = $farm.Servers. When a user connects to a store configured with multiple farms, by default, all resources from all farms are enumerated and displayed to the user. 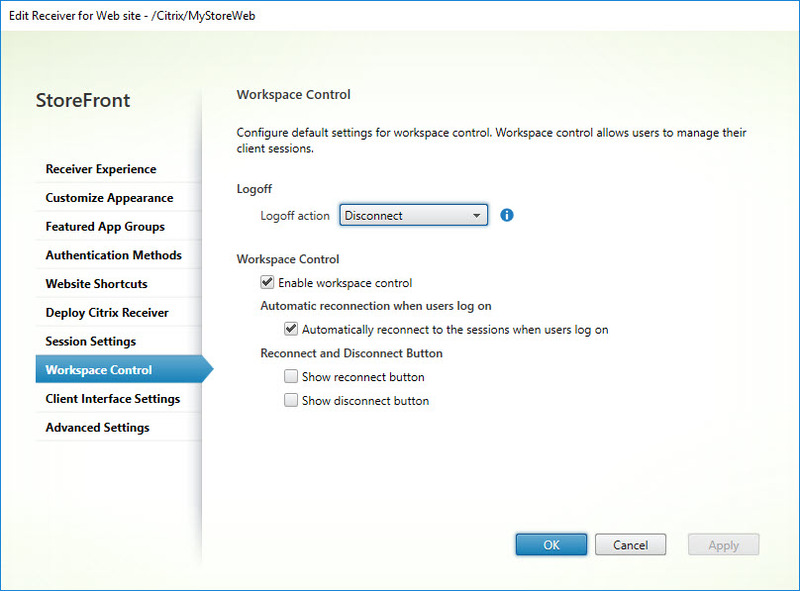 This default behavior can be changed by configuring the multi-site aggregation settings and mapping specific Active Directory groups to these settings. The StoreFront console cannot be used for advanced configurations; you have to use PowerShell. 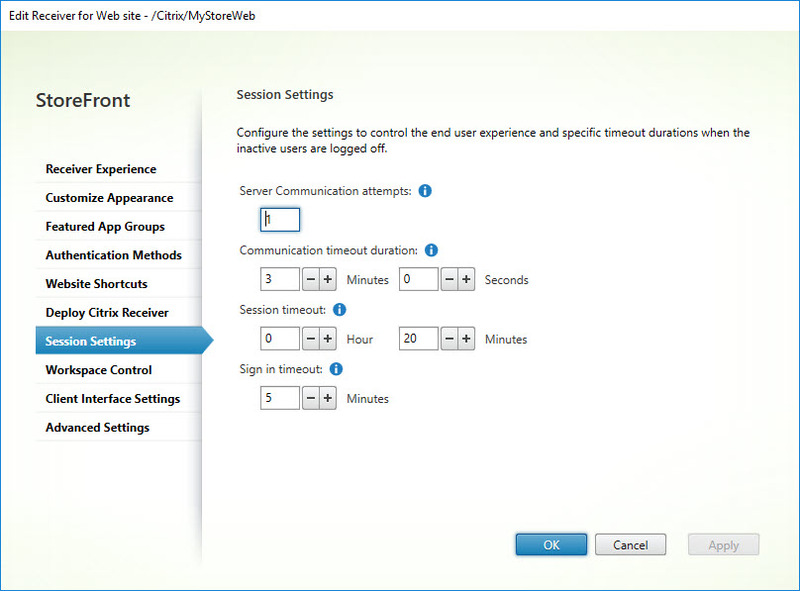 For detailed information how to configure multi-site aggregation, please see the article Citrix StoreFront Multi-Site Aggregation with PowerShell on the Citrix User Group Community (CUGC) website. 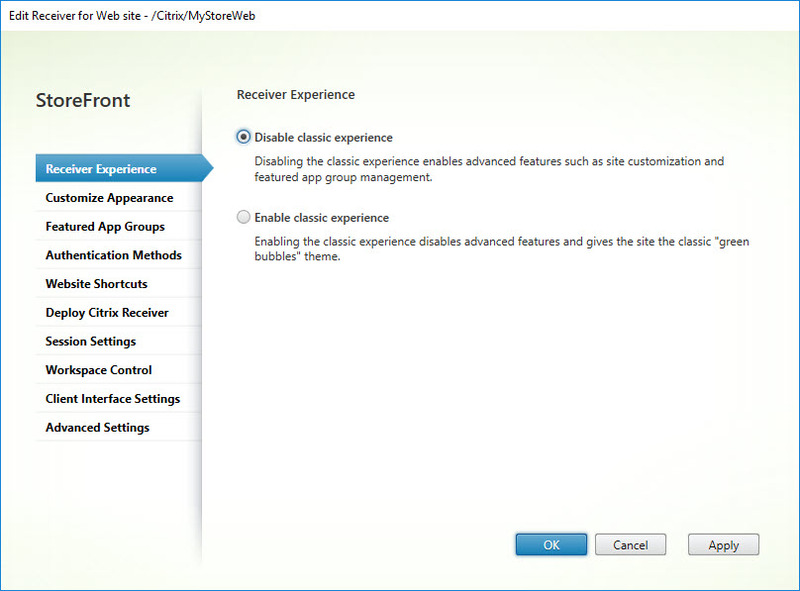 This paragraph deals with the Unified Experience configuration settings. 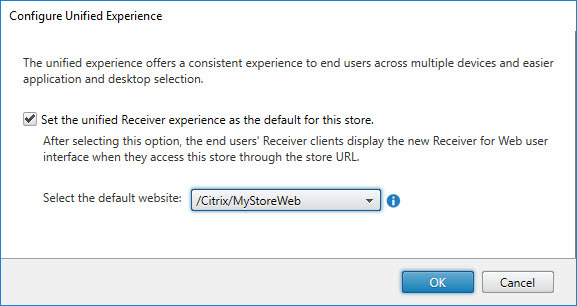 $Store = Get-STFStoreService -siteID 1 -VirtualPath "/Citrix/MyStore"
You need to connect to both the store service ($Store) and the Receiver for Web site ($Rfw) service in order to configure unified Receiver experience. This paragraph deals with the Authentication Method configuration settings. 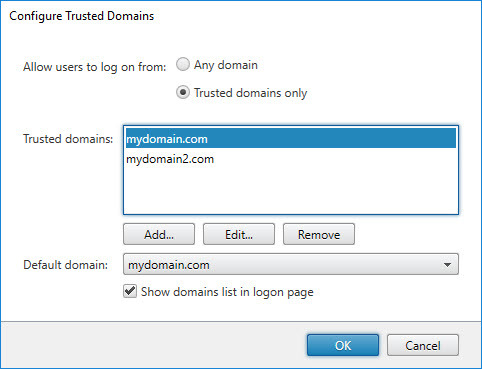 Configure trusted domains on the StoreFront logon page. 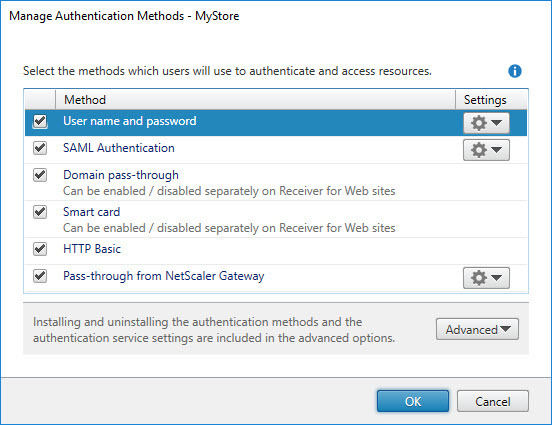 Note: these settings apply to both the User Name and Password authentication method as well as the Pass-through from NetScaler Gateway authentication method. $AuthService = Get-STFAuthenticationService -SiteID 1 -VirtualPath "/Citrix/MyStoreAuth"
-Domains (data type: string array): this array contains the name or names of the trusted domain(s), for example "mydomain.com" (for one domain) or "mydomain1.com","mydomain2.com" (when specifying multiple domains). This parameter relates to the section Trusted domains in the screenshot above. -DefaultDomain (data type: string): set the default domain. This parameter relates to the section Default domain in the screenshot above. -HideDomainField (data type: boolean): display the domain field on the StoreFront logon page (or not). Possible values are: $True | $False. This parameter relates to the tick box Show domains list in logon page in the screenshot above. 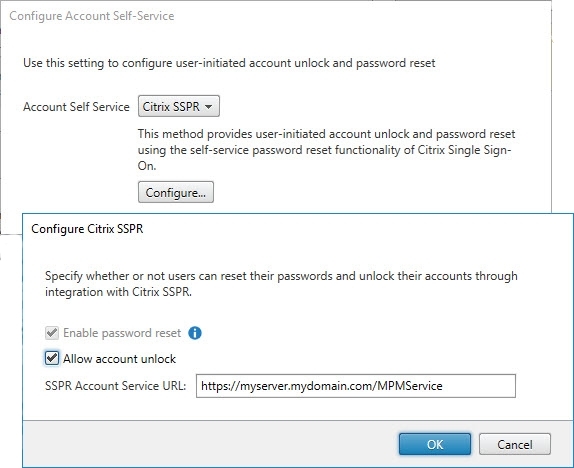 Configure the account self-service URL and allow users to unlock their account and reset their password. Set-STFPasswordManagerAccountSelfService -AuthenticationService $AuthService -PasswordManagerServiceUrl "https://myserver.mydomain.com/MPMService"
-PasswordManagerServiceUrl (data type: uri): this parameter contains the URL of the account self-service service. -AllowResetPassword (data type: boolean): allow users to reset their password or not. Possible values are: $True | $False. -AllowUnlockAccount (data type: boolean): allow users to unlock their account or not. Possible values are: $True | $False. Configure the user's password options. 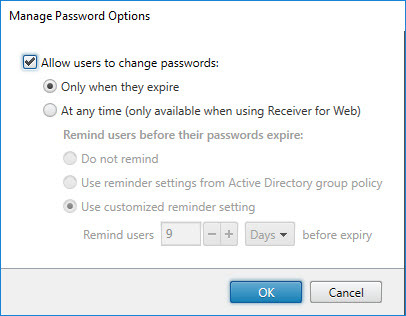 Note: these settings, or at least the actual Apply users to change passwords settings, apply to both the User Name and Password authentication method as well as the Pass-through from NetScaler Gateway authentication method. Please be aware that the above cmdlet, Set-STFExplicitCommonOptions, is the same one as used for configuring the Trusted Domains. This means that you can combine all settings into one line to configure both the trusted domains and the password options. -AllowUserPasswordChange: configure when a user can change a password (if at all). Possible values are: Always | ExpiredOnly | Never. -ShowPasswordExpiryWarning: remind users before their password expires. Possible values are: Never | Windows | Custom. -PasswordExpiryWarningPeriod (data type: int32): the period of time in days before the expiry warning should be shown, for example 7. -AllowZeroLengthPassword (data type: boolean): allow a zero length password or not. Possible values are: $True | $False. Configure how passwords are validated. The default method is Active Directory, but password validation can be delegated to the XML service of the delivery controller(s). $Farm = Get-STFStoreFarm -StoreService $Store -FarmName "MySite1"
In the first line we connect to the store service of the specific store from which we want to copy the farm information. 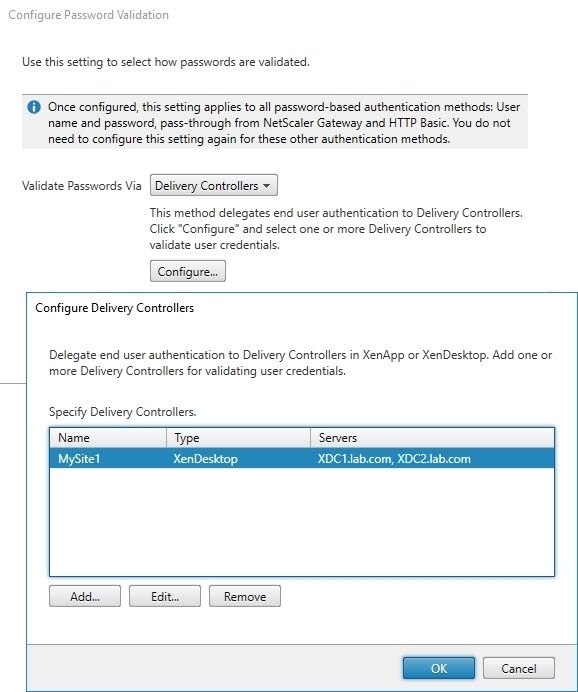 In the second line we connect to the authentication service which will be configured to validate passwords using the delivery controller's XML service instead of Active Directory. In the third line we read the farm information from the store service. In our example, we read the information from the farm called "MySite1". Modify this name to your requirements. 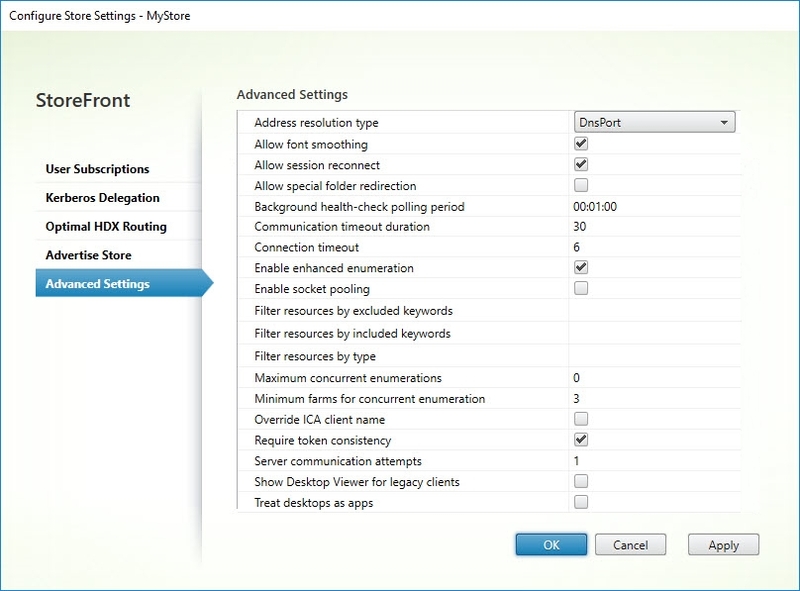 In the last line we configure the authentication service to validate passwords using the delivery controllers configured in the farm "MySite1". The only difference compared to the first code snippet is that we do not specify a specific store in line 3 (-FarmName "MySite1"). 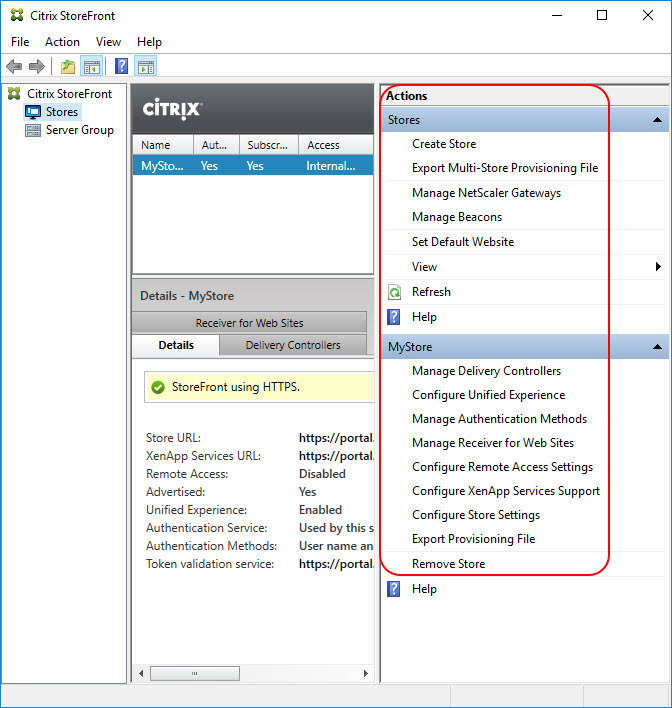 The data type of parameter -Farm in line four is Citrix.StoreFront.Model.Store.Farm, which is an array. This enables us to configure multiple farms at the same time. Unfortunately, I was not able to find a solution how to automate this configures. There are a few PowerShell cmdlets for SAML available for importing and exporting certificates, but a general Set-STFSamlConfiguration or something similar does not exist. Also, I was not able to configure the settings "in-memory" using the structure in the web.config file. This configuration also applies to the Configure Password Validation settings for the User Name and Password authentication method. This section covers the PowerShell commands to configure the Receiver for Web settings. 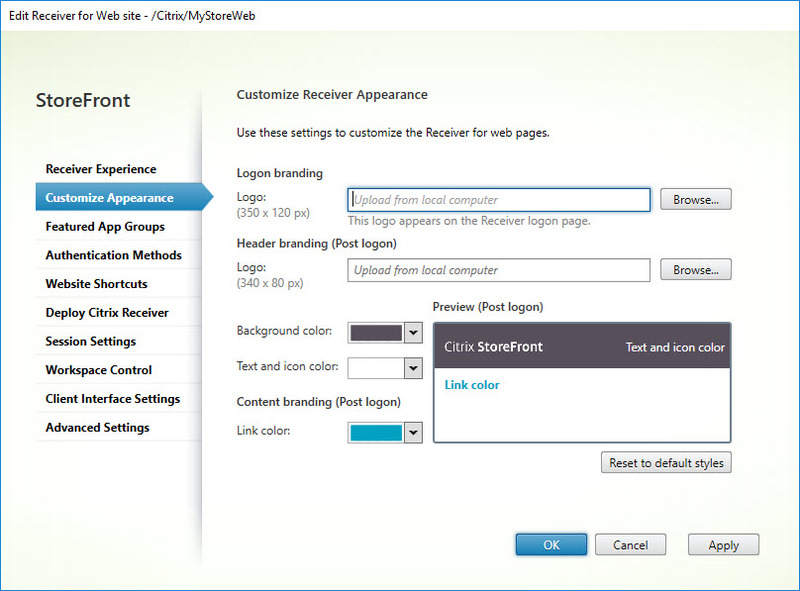 Using the StoreFront console, the appearance of the StoreFront Receiver for web page can be customized. A total of five items can be customized. $Rfw = Get-STFWebReceiverService -SiteId 1 -VirtualPath "/Citrix/MyStoreWeb" Set-STFWebReceiverSiteStyle -WebReceiverService $Rfw -HeaderLogoPath "C:\Temp\header.jpg" -LogonLogoPath "C:\Temp\logon.jpg" -HeaderBackgroundColor "#F9F9F9" -HeaderForegroundColor "#FF9900" -LinkColor "#FF9900"
Set-STFWebReceiverSiteStyle -WebReceiverService $Rfw -HeaderLogoPath "C:\Temp\header.jpg" -LogonLogoPath "C:\Temp\logon.jpg" -HeaderBackgroundColor "#F9F9F9" -HeaderForegroundColor "#FF9900" -LinkColor "#FF9900"
In the first line we connect to the Receiver for Web sites service in a specific store. -LogonLogoPath (data type: string): the logo on the logon page. -HeaderLogoPath (data type: string): the header logo (shown after logon). -HeaderBackgroundColor (data type: string): the background color of the header (shown after logon). -HeaderForegroundColor (data type: string): the text and icon color (shown after logon). -LinkColor (data type: string): the link color (shown after logon). There seems to be a bug; the modifications via PowerShell work fine, but changes to the logos are not displayed in the StoreFront console. The default StoreFront logos are no longer visible, but your custom logos are also not visible. Please be aware that when you modify one value, all other values are reset to their default value. For example; if you have configured custom logos, and at a later time want to modify the link color, you have to configure both the custom logos and the link color. In case you only modify the link color, the custom logos will be reset to the standard StoreFront logos. The cmdet Set-STFWebReceiverSiteStyle offers one additional parameter that is not available in the console: IgnoreNonExistentLogos (data type: boolean). This parameter determines whether to ignore non-existent logo files and continue to set the colors. Please be aware that this does not mean that the configured logo paths are saved in the configuration and you can simply add the files at a later time! The only thing this parameter does is to ignore/suppress the default error. 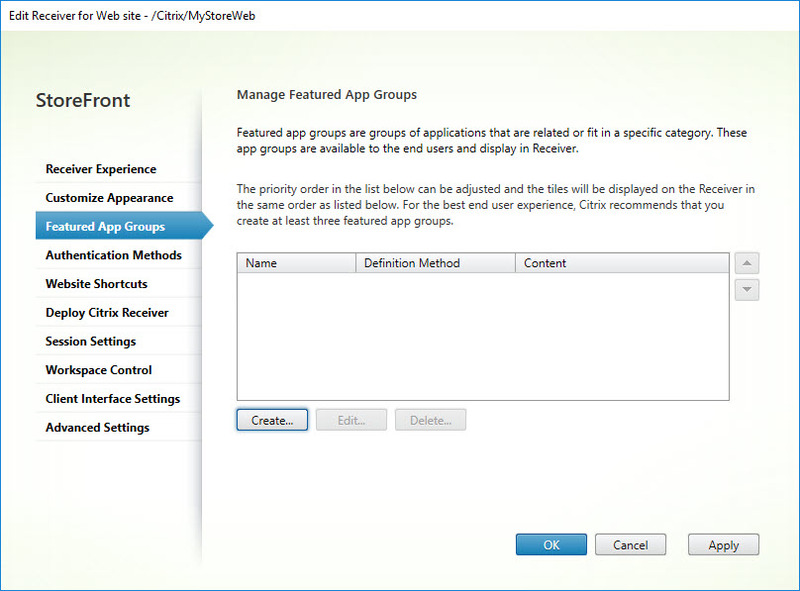 In the StoreFront console, click the button Create... to create a new featured app group. In the window that follows, you have to fill in multiple parameters. -Title (data type: string): this is the name of the featured app group. -Description (data type: string): this is the description of the featured app group. -ContentType: this is the type of content provided in the -Contents parameter. Possible values are: Keyword | Category | AppName. 1. Keyword: the list must have only 1 value. 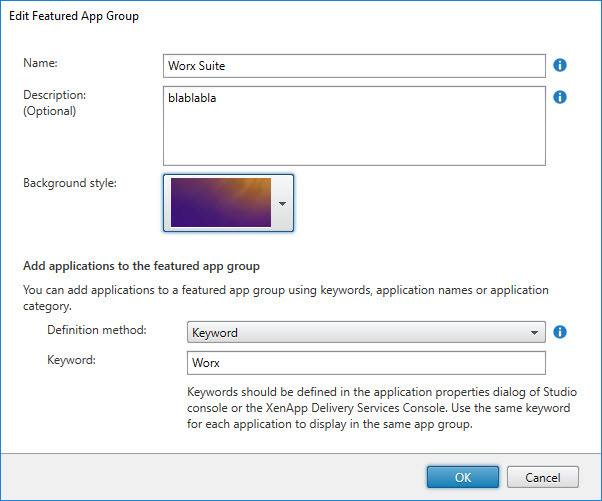 All the apps which have keywords matching with the value in the list will appear as a featured app group. 2. Category: the list must have only 1 value. All the apps which have category defined as the value in the list will appear as a featured app group. 3. AppName: the list must have 1 or more unique values. All the apps which have names (for users) which partially or fully matches any of the values in this list will appear as a featured app group. In the last line, using the cmdlet Set-STFWebReceiverFeaturedAppGroups, we create the featured app group in the Receiver for Web sites service defined in line 1. In case you would like to add all available authentication methods, replace the authentication method with Get-STFWebReceiverAuthenticationMethodsAvailable. The cmdlet Set-STFWebReceiverAuthenticationMethods offers one additional parameter that is not available in the console: TokenLifeTime (data type: TimeSpan). This parameter sets the lifetime of the authentication token before it expires. 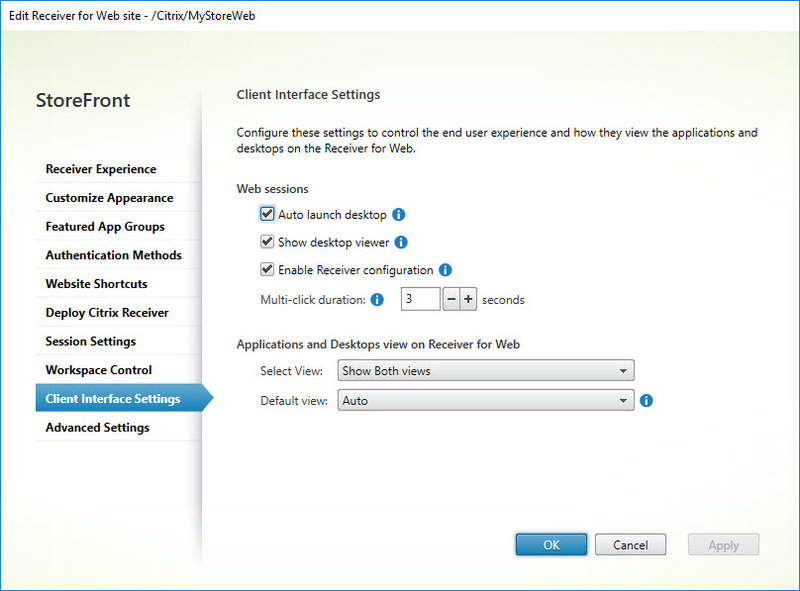 $rfw = Get-STFWebReceiverService -SiteId 1 -VirtualPath "/Citrix/MyStoreWeb" Set-STFWebReceiverPluginAssistant -WebReceiverService $rfw -enabled $true -Win32Path "http://downloadplugins.citrix.com/Windows/CitrixReceiverWeb.exe"
Set-STFWebReceiverPluginAssistant -WebReceiverService $rfw -enabled $true -Win32Path "http://downloadplugins.citrix.com/Windows/CitrixReceiverWeb.exe"
$FileNameReceiver = "CitrixReceiverWeb.exe" $rfw = Get-STFWebReceiverService -SiteId 1 -VirtualPath "/Citrix/MyStoreWeb" Set-STFWebReceiverPluginAssistant -WebReceiverService $rfw -enabled $true -Win32Path "clients/Windows/$($FileNameReceiver)"
Set-STFWebReceiverPluginAssistant -WebReceiverService $rfw -enabled $true -Win32Path "clients/Windows/$($FileNameReceiver)"
Note: make sure to copy the CitrixReceiverWeb.exe file to the directory C:\Program Files\Citrix\Receiver StoreFront\Receiver Clients\Windows. If you rename the executable file, make sure to add the corresponding name to the variable $FileNameReceiver. $FileNameReceiver = "CitrixReceiverWeb.exe" $rfw = Get-STFWebReceiverService -SiteId 1 -VirtualPath "/Citrix/MyStoreWeb" Set-STFWebReceiverPluginAssistant -WebReceiverService $rfw -enabled $true -Win32Path "http://myserver/$($FileNameReceiver)"
Set-STFWebReceiverPluginAssistant -WebReceiverService $rfw -enabled $true -Win32Path "http://myserver/$($FileNameReceiver)"
Note: make sure to copy the CitrixReceiverWeb.exe file to the remote server. If you rename the executable file, make sure to add the corresponding name to the variable $FileNameReceiver. The cmdlet Set-STFWebReceiverPluginAssistant has more parameters. Use the Get-Help Set-STFWebReceiverPluginAssistant function to see all available parameters. $rfw = Get-STFWebReceiverService -SiteId 1 -VirtualPath "/Citrix/MyStoreWeb" Set-STFWebReceiverPluginAssistant -WebReceiverService $rfw -enabled $true -MacOSPath "http://downloadplugins.citrix.com/Mac/CitrixReceiverWeb.dmg"
Set-STFWebReceiverPluginAssistant -WebReceiverService $rfw -enabled $true -MacOSPath "http://downloadplugins.citrix.com/Mac/CitrixReceiverWeb.dmg"
$FileNameReceiver = "CitrixReceiverWeb.dmg" $rfw = Get-STFWebReceiverService -SiteId 1 -VirtualPath "/Citrix/MyStoreWeb" Set-STFWebReceiverPluginAssistant -WebReceiverService $rfw -enabled $true -MacOSPath "clients/Mac/$($FileNameReceiver)"
Set-STFWebReceiverPluginAssistant -WebReceiverService $rfw -enabled $true -MacOSPath "clients/Mac/$($FileNameReceiver)"
Note: make sure to copy the CitrixReceiverWeb.dmg file to the directory C:\Program Files\Citrix\Receiver StoreFront\Receiver Clients\Mac. If you rename the DMG file, make sure to add the corresponding name to the variable $FileNameReceiver. $FileNameReceiver = "CitrixReceiverWeb.dmg" $rfw = Get-STFWebReceiverService -SiteId 1 -VirtualPath "/Citrix/MyStoreWeb" Set-STFWebReceiverPluginAssistant -WebReceiverService $rfw -enabled $true -MacOSPath "http://myserver/$($FileNameReceiver)"
Set-STFWebReceiverPluginAssistant -WebReceiverService $rfw -enabled $true -MacOSPath "http://myserver/$($FileNameReceiver)"
Note: make sure to copy the CitrixReceiverWeb.dmg file to the remote server.. If you rename the DMG file, make sure to add the corresponding name to the variable $FileNameReceiver. This paragraph deals with the remote access configuration settings. All settings in the screenshot above can be configured using one PowerShell cmdlet. 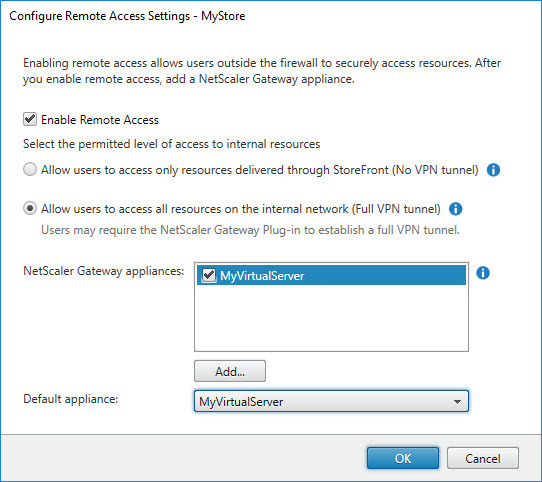 $Gateway = Get-STFRoamingGateway -Name "MyVirtualServer"
Please be aware that the parameter -UseFullVPN can only be configured once for all NetScaler Gateway appliances (= virtual servers). For example, if you add two appliances and you enable full VPN for the first appliance, but disable it for the second appliance, full VPN will be disabled for both appliances. 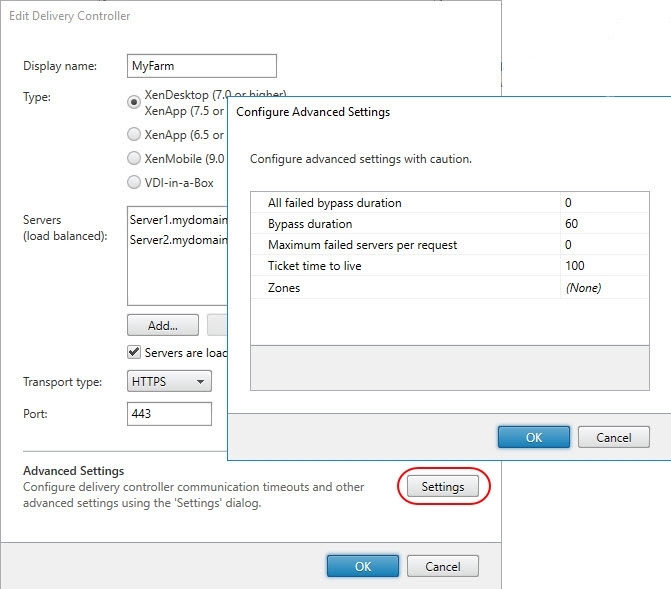 The Add... button starts the same wizard as the Manage NetScaler Gateways configuration. 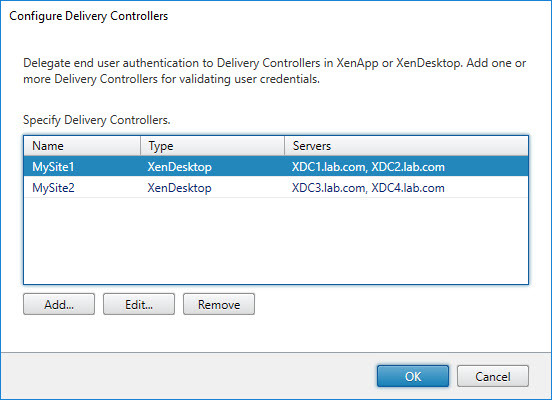 This paragraph deals with the XenApp Services Support configuration settings. Change the value -DefaultPnaService:$True to -DefaultPnaService:$False if no default store should be configured. -AllowUserPasswordChange: allow the PNA clients to change password (or not). Possible values are -AllowUserPasswordChange:$True | -AllowUserPasswordChange:$False. -LogonMethod: the PNA logon method. A store supports only one method at a time. Possible values are: Anonymous | Prompt | SSON | Smartcard_SSON | Smartcard_Prompt. This paragraph deals with the Store configuration settings. 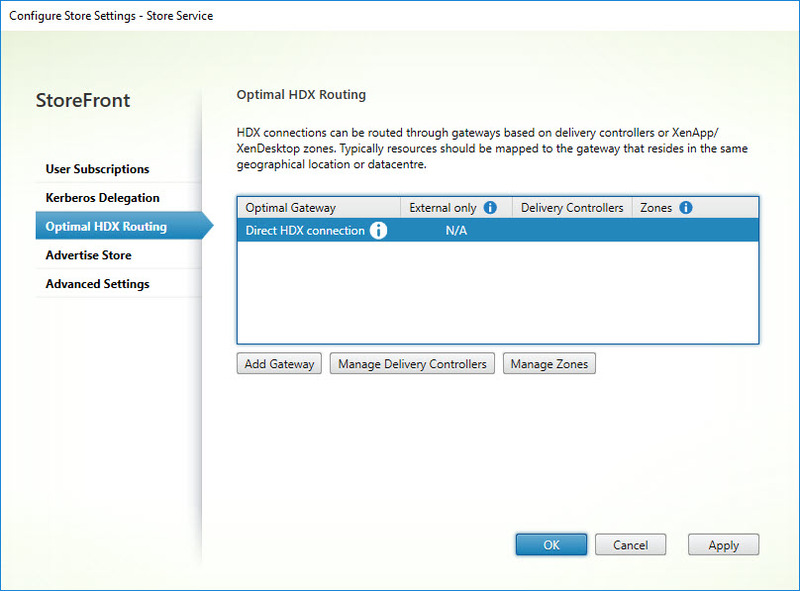 Optimal HDX Routing consist of multiple items and are listed in the image below. The Advanced Settings consist of multiple items and are listed in the image below. This paragraph deals with removing a store. This is accomplished using only two lines of PowerShell code. Removing a store removes the store service, any Receiver for Web sites related to the store and, if no other stores are using it, the associated authentication service. All StoreFront settings can be automated. Even in those rare cases when there is no PowerShell cmdlet, it is always possible to change the value "in-memory". This is possible thanks to the way StoreFront is build, using web.config files and .Net Framework. Please realize that StoreFront ships with 206 cmdlets and that there are more settings that can be configured using PowerShell than listed in this article! The goal of this article is to translate the settings available in the StoreFront console, not to document all available PowerShell settings. I hope that this article was of some help to you. Happy scripting! This entry was posted in StoreFront and tagged PowerShell, Scripting by Dennis Span. Bookmark the permalink. Muchas gracias Daniel! Soy contento que te guste. Fantastic, thank you Dennis! One question about the Customize Appearance section. It looks like the “-HeaderLogoPath” and “-LogonLogoPath” are flipped compared to their descriptions in the console. A bit confusing, I just want to confirm this is correct. Thanks! Hi Brian. Yep, you are absolutely correct. That was a mistake on my part. I just updated that particular section. Thanks for pointing it out to me! 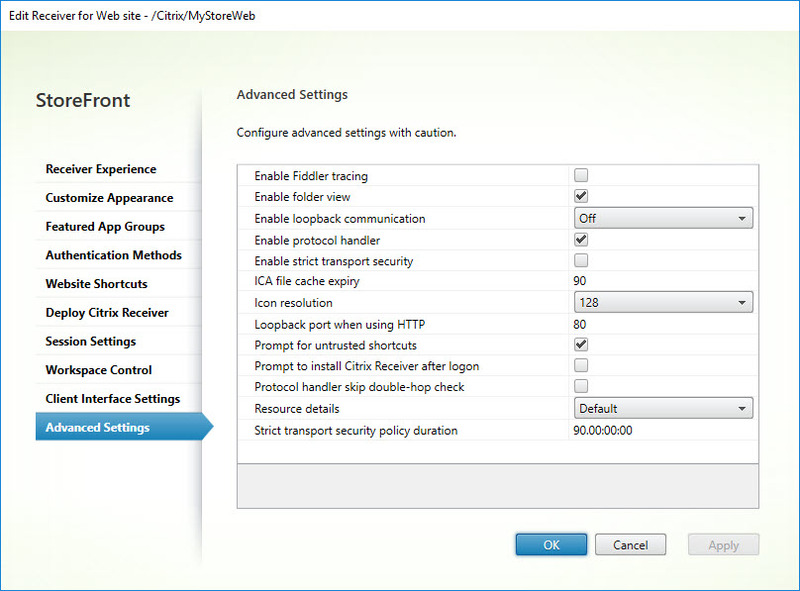 How can i bind the Netscaler Gateways from your Section “Manage NetScaler Gateways” to the Store “Configure Remote Access Settings”? Thanks for your feedback Sascha (and especially for the PowerShell snippet). My apologies for not getting back to you sooner. I have been quite busy recently. The best StoreFront PowerShell article, hands down! Thanks for putting this together! Amazing! Thank you for this great compliment Ryan! It is greatly appreciated.